When faced with diabetes it's crucial to closely monitor how acidic your body gets and control it's internal pH closely so the kidneys can do their job well. It serves well for diabetics to be disciplined about the way they eat and constantly track ketone levels to ensure best health and stay far from spin off conditions. (Newswire.net -- August 21, 2018) Cheyenne, Wyoming -- Even though diabetes is linked to heredity in as far as having a predisposition for this condition but diabetes can also be developed by dietary choices. It’s important to make wise food choices to ensure best health is maintained as it greatly influences the possibility of diabetes, along with exercise that is essential as well. Another vital reason to be keen about one’s diet is that in the event that diabetes is developed there are related conditions such as ketoacidosis that can be circumvented with the help of healthy foods. Diabetics strive to prevent ketoacidiosis at all costs so any eating routine that requires the consumption of mostly protein and hardly any carbohydrates is not a good option for them. Ketones are natural and good for people who are not diabetic but those with diabetes need to stare clear of accumulating high levels of ketones as this can be very dangerous for them. This is why keeping track of ketone levels is so important and the Complete 10 Parameter Urinalysis Reagent Strips by HealthyWiser™ provide the necessary information needed in a quick, convenient and easy to understand format. It serves well for diabetics to be disciplined about the way they eat and constantly track ketone levels to ensure best health and stay far from spin off conditions. For these reasons, it is vital to conduct frequent tests regarding ketone levels and luckily, the Complete 10 Parameter Urinalysis Reagent Strips by HealthyWiser™ does that and so much more as they test glucose, protein ph, leukocytes, nitrites, bilirubin, blood, urobilinogen and specific gravity in addition to ketones. Being informed and having a peace of mind that comes along with that is invaluable when talking about your health. 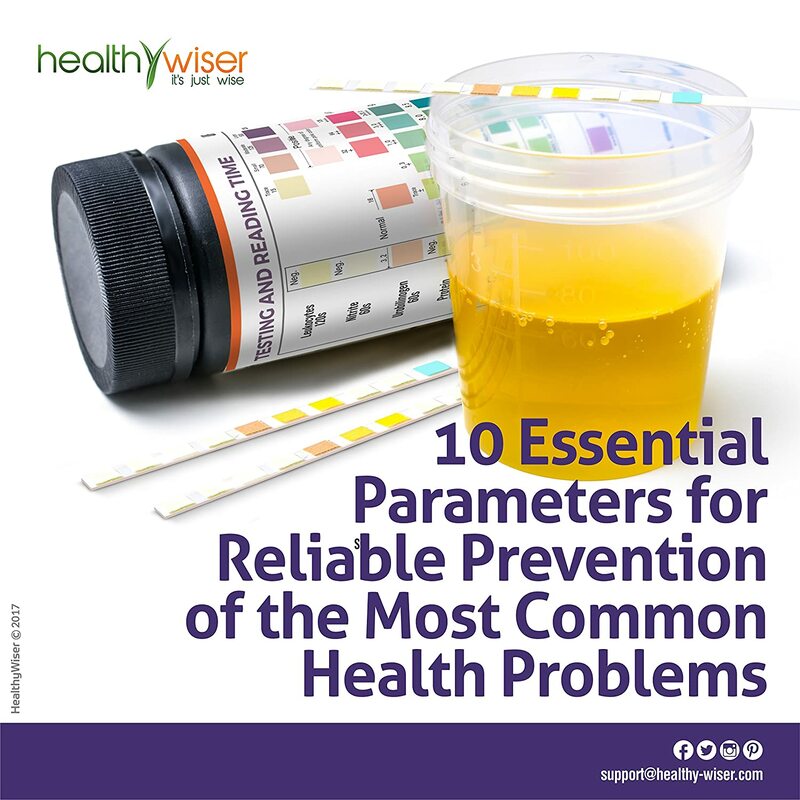 The HealthyWiser™ Complete 10 Parameter Urinalysis Reagent Strips definitely help in offering an insight into one’s inner happenings and should be a precursor to a doctor’s visit. HealthyWiser™ is a recognized and flourishing personal health and premium dietary supplement brand offering products that are diligently tested to meet industry standards. Passionate about good health and innovation the HealthyWiser™ brand is committed to delivering quality to customers. Learn more about Complete 10 Parameter Urinalysis Reagent Strips on Amazon.